Tim Cook’s manufacturing operation runs a vast computing system that has hooks stretching into the suppliers of the suppliers of the suppliers. It’s multiple levels down. Apple knows how many tiny screws are in the warehouses of the smallest button maker. Thanks to its omniscient vision, Apple is able to finely tune exactly how many products are made each hour of every day to exactly match the fluctuating demand it sees in its stores worldwide. This is the machine that helped Cook and Jobs streamline Apple. 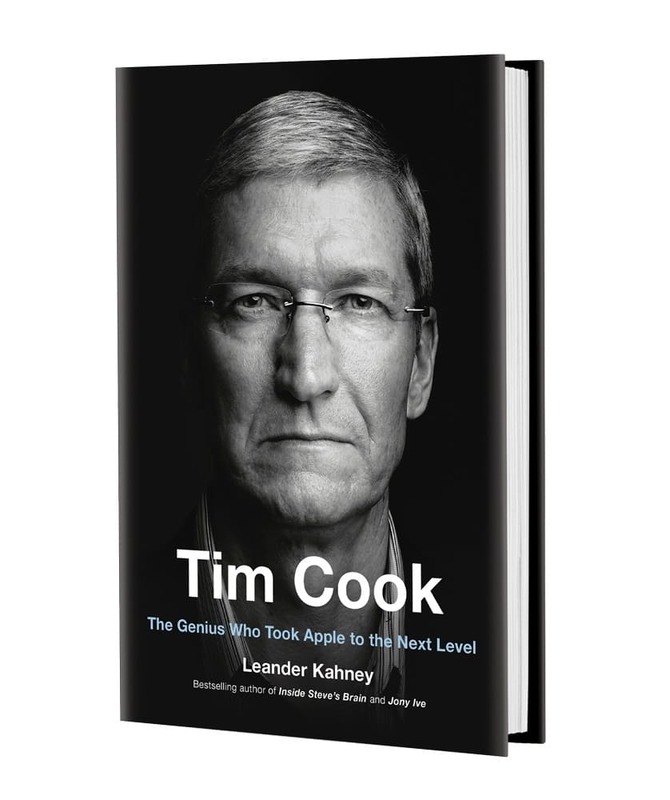 Known as “the Attila the Hun of inventory” when he was recruited from Compaq in 1998, Tim Cook was a reluctant hire. Apple was struggling at the time and he was nervous about joining the near-bankrupt company, but he found a connection with Jobs. 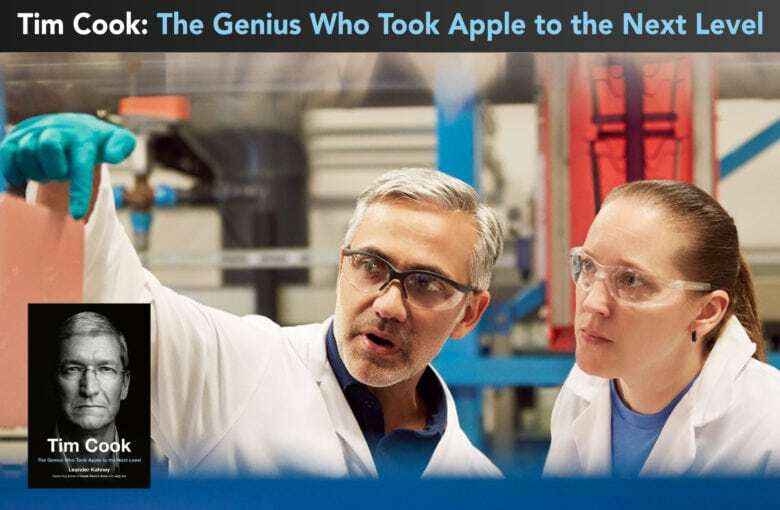 Cook helped write down inventory and built a streamlined just-in-time manufacturing operation that made Apple the gold standard of the industry. It had a lot to do with saving Apple, and Cook has never received the proper credit. Today, Apple’s giant manufacturing operation, which is shrouded in secrecy, is an insurmountable barrier to competitors. Few companies have the resources to rival it. Samsung’s exploding battery scandal is a good example of the corners rivals sometimes cut to keep up. The scale of Apple’s operation beggars belief. Take Amazon, for example, which is routinely praised for its smart Alexa speaker, which is flying off shelves. Alexa is touted as the home computer of the future, and is estimated to have sold about 100 million units in the four years it’s been available. That’s peanuts. Apple sells the same number of iPhones about every six months. Apple’s scale is off the charts. Apple’s expertise in operations is widely undervalued, something the company does little to alleviate. The company keeps its manufacturing excellence very quiet, and few observers credit its expertise in the company’s success. Take for example, the hardware efforts of rivals like Google and Amazon, which have had mixed success with making hardware. Amazon’s Fire phones were a bust; its tablets are a modest success, mostly because of their ultra-low prices; and the Echo devices are a bone fide hit, but they ship in tiny, tiny quantities compared to Apple’s. Amazon has sold an estimated 100 million Alexa-powered speakers over the four years they have been on the market. That’s equivalent to six months’ worth of iPhones. “Apple’s work in operations doesn’t get credit but when those other companies try to do things at scale they realize just how hard it is,” said Dediu. Google has had less success with anything its done in hardware. It’s purchase of Motorola and subsequent sale two years later yielded little for the company, as did its purchase of Nest. Nintendo is another example. The Japanese games company has recently been celebrated for exceeding expectations with sales of its Switch gaming console, which is breaking records with sales of tens of millions of units. But again, it’s nowhere near Apple’s scale. The only high-tech company that compares to Apple in terms of scale is Samsung. Apple has a reputation for great design, but often overlooked is how well-designed the products are for manufacturing. It’s easy to miss, because it’s not apparent, but all of Apple’s products are carefully designed to be manufactured in their millions. When it comes to manufacturing, Apple’s operations team works primarily with two other groups: Jony Ive’s Industrial Design team and a group of engineers called Product Design. The industrial design team – headed up by Jony Ive – has the most power. The Industrial design team is where most of Apple’s products come from. They are Apple’s ideas factory. They design the user experience and the way the product works. Ive’s team spends a lot of time designing products, but even more time figuring out how to manufacture them. The next most powerful group is operations, which must ensure the product is manufacturable on a massive scale. And lastly is engineering, which must figure out ways to make all the electronics fit inside the sleek designs dreamed up by the Industrial Design team. In the Apple of old, before Steve Jobs returned, it used to be other way around. The engineers had the most power. They would spec new products with the marketing department, often based on new technologies like faster chips or bigger hard drives. They design team would only be involved towards the end of the process, when they were called on to “skin” a new product; that is, add an outside skin that made it look good. It often resulted in bland, me-too products. When Jobs returned, he formed a close working relationship with Jony Ive and slowly, over a period of more than a decade, the Industrial Design group became the primary source of new products at Apple. A former executive in the Operations team who asked not to be identified, said the Industrial Design group show little regard for the challenges faced by the engineering or business sides of the process. The engineers can never say ‘no,’ and budget is never a consideration; it’s not even discussed. The executive said it was hard on the engineers, but consistently creates beautiful products. A good example of this is the placement of the heart-rate monitor in the Apple Watch. The obvious place to put the monitor would be on the inside of the wrist, where the skin is thinner and it’s easier for the sensor’s lasers to penetrate blood vessels. The placement is rumored to have caused a big fight between Apple’s ID team and the engineers. The engineers wanted to put the sensor on the inside of the wrist, as part of a bulky strap, but the ID team insisted it would interfere with the way people wore the watch. The rumor is that the ID team forced the engineers to work out how to put the sensors on the top part of the wrist, which they managed to do, but not without a lot of struggle. The Product Design group (PD), which includes Electrical Engineering (EE), Mechanical Engineering (ME) and the Device Software group, is responsible for figuring out the engineering: which components to use and how to put them together. Operations figures out how to actually manufacture the products, and includes all the suppliers, officers in mass production scaling, cost, supply base engineering, and materials production. 1. New products are designed and prototyped by the Industrial Design group. The group works in a locked-down studio on Apple’s campus. The cavernous studio is home to about 20 designers and support staff, with a workshop full of prototyping machinery. During new product development, the designers work closely with teams from both Product Design and Ops. 2. After ID is happy with a prototype product, the project moves to Product Design. Mechanical Engineers and Electrical Engineers work to fit all the necessary components inside the design and often struggle to do it. It’s called “packing the suitcase.” Operations Group members get involved at this point to assess the impact on the supply chain and start planning for mass production. The inclusion of operations at the earliest stages is very important. “They’re involved early on to make sure that as a product design engineer I don’t design something that’s not going to be manufacturable at volume,” said Anna-Katrina Shedletsky, a former-Apple product design engineer who spent almost six years at Apple working on four generations of the iPod, and then as a product design lead for the Apple watch. Product Design, however, keeps the product until there is a complete unit with all of the necessary components. “Product design engineer is kind of fancy way of saying mechanical engineer,” said Shedletsky, who has since left Apple and has used her hard-earned expertise to launch a machine learning startup called Instrumental. The startup uses AI technology to help companies find and fix problems on factory assembly lines. At this point, the product prototype is approved for transition to Operations, also known as the manufacturing design team. Operations manages tooling, fixtures and process development. Operations treats the manufacturing process as a product that also needs to be designed. They design all parts of the manufacturing process, such as the specific tools for each step of the manufacturing process, and where the gates on injection molding tools will be, and so on. At each stage, they bring in Subject Matter Experts (SME’s) as needed. Each major compnonet of the product has a team of SME’s devoted to it. So there’s a battery team, a display team, a touch team, and so on. 3. If the ID has been finalized and operations has successfully managed tooling and process development, then PD is finished and moves to developing the next project. Operations takes over fully and begins to scale Manufacturing Processes (MP) with all suppliers worldwide and begins looking at cost reduction in every possible area. There’s “a whole army of people who go over to the factories, set up everything, counterpoints, liaisons, buses, shuttles, hotels, they help with all of that stuff,” said a former Apple Product Design engineer who asked to remain anonymous. The Product Design team thinks far ahead about how to go about manufacturing a product. The PD engineer said they are in the same timeline as the Industrial Design group, which means product and engineering managers are often working on a product at least three years ahead of a product launch. For example, when the design team was working on the prototype iPad in 2004, the Product Design team was already planning how to make it possible around that time as well. One key to getting it done and having a “clean launch” is having a well-defined process to ramp up into manufacturing production. Two other engineering groups are also involved very early on – reliability and safety. The reliability group conducts exhaustive tests of prototype products to see if they will last under a range of often extreme conditions. They test everything, from drops to extremes of heat and humidity. AirPods, for example, are dunked in synthetic sweat to see if they’ll hold up in the gym. If problems were found, the most important thing is to have a solution – or at least a proposed one. The process is long and arduous, with multiple groups involved. There are weekly meetings, which become more frequent when problems crop up. Such is the power of the Industrial Design team, they never worry about budgets. It’s up to the operations team to figure out how to manage costs. He said discussions between Jony’s ID group and PD and Operations went in one direction, from the designers to production. But the fact IDg imposed their vision upon product development was expected – it worked. One example is Jony’s obsession over parting lines, the section of a plastic part where the two halves of the plastic injection mold meet. Parting lines ruin the illusion of a seamless part. The executive recalled one occasion in the dingy offices of a plant in Asia that was making the mold for the Titanium PowerBook.